The Best Lawyers Board of Advisors is an esteemed group of distinguished legal professionals from around the world. Almost 400 organizations are currently represented including leaders from many of the world's preeminent law firms and general counsel from Fortune 500 and Global 500 companies. 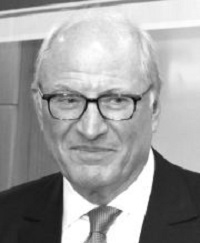 Michael Frie provides commercial and dispute resolution advice to Swedish and international clients within primarily the tech & comms, media and sport sectors. 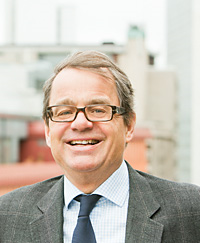 He has vast experience in domestic and international disputes and regularly acts as counsel in Swedish and international arbitration successfully. A special area of focus is professional negligence and Michael has acted in the two largest disputes relating to auditors' liability in Sweden. He was Chairman of Bird & Bird's Global Board between 2007 and 2016. 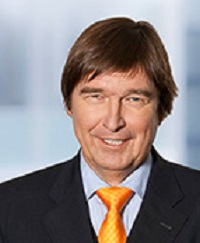 Prof. Dr. Gerhard Wegen is a partner with Gleiss Lutz, a leading German law firm with more than 200 lawyers and with offices in Stuttgart, Berlin, Frankfurt, Munich, Brussels, Prague, and Warsaw. His practice focuses on corporate and M&A. He has an outstanding track record advising international clients in all aspects of cross-border M&A projects. Furthermore Gerhard also participates regularly in international arbitration proceedings as both an arbitrator and a counsel in more than 120 actual cases. Noah J. Hanft is President and CEO of International Institute for Conflict Prevention and Resolution (CPR). A long-time supporter of dispute resolution, Mr. Hanft has devoted his career to finding the most effective and efficient resolutions for resolving business disputes. Prior to joining CPR, Mr. Hanft was General Counsel and Chief Franchise Officer for MasterCard, where he was responsible for overseeing legal and regulatory affairs, public policy and compliance. Mr. Hanft has an LL.M from New York University School of Law in trade regulation, a JD from Brooklyn Law School, and a BA from American University, School of Government and Public Administration. Lord Grabiner is a commercial lawyer with a substantial court and advisory practice dealing with the major commercial issues of the day. Highly experienced both as an advocate and an arbitrator in domestic and international arbitrations, he is a director of the London Court of International Arbitration. He sits as a Deputy High Court Judge of the Chancery and Queen's Bench Divisions. Bringing together the distinguished members of the Best Lawyers Advisory Board for discussions about management of law firms and in-house legal departments.